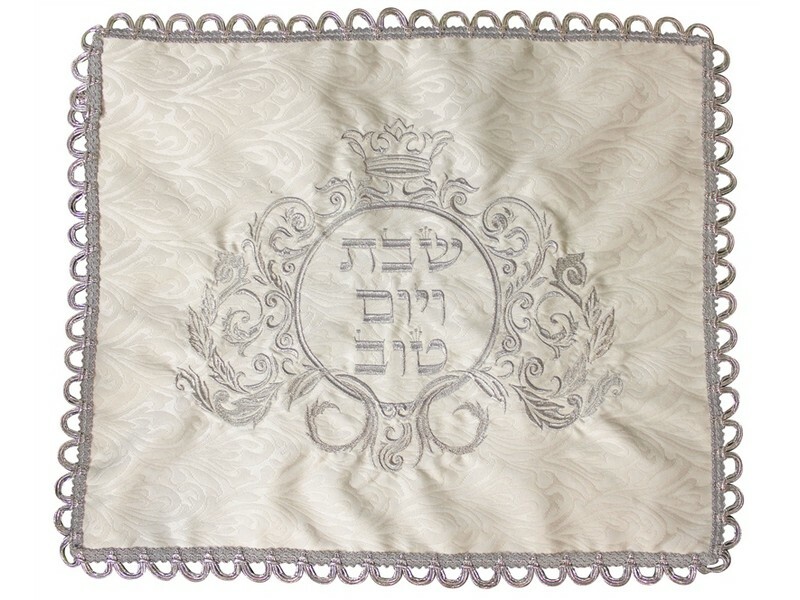 Made of elegant designed heavy brocade fabric, this challah cover portrays elegancy and beauty. The center of the challah cover has a round frame with the Hebrew words, “Shabbat v’Yom Tov”, “Shabbat and Yom Tov”. The frame is surrounded by elegant leaves and branches with a crown on the top. The edges are finished with silver thread arches. This challah cover includes a plastic protective slipcover.